Yeah, it’s harder than you think. How about Frickin’ as in I wish I’d never picked a Frickin’ theme, and if I DID pick a Frickin’ theme, I wish I had picked something other than Frickin’ objects! How about brain Fart ‘cuz that’s what I’m having. Can I use brain Fart? Can I pay a Fine? 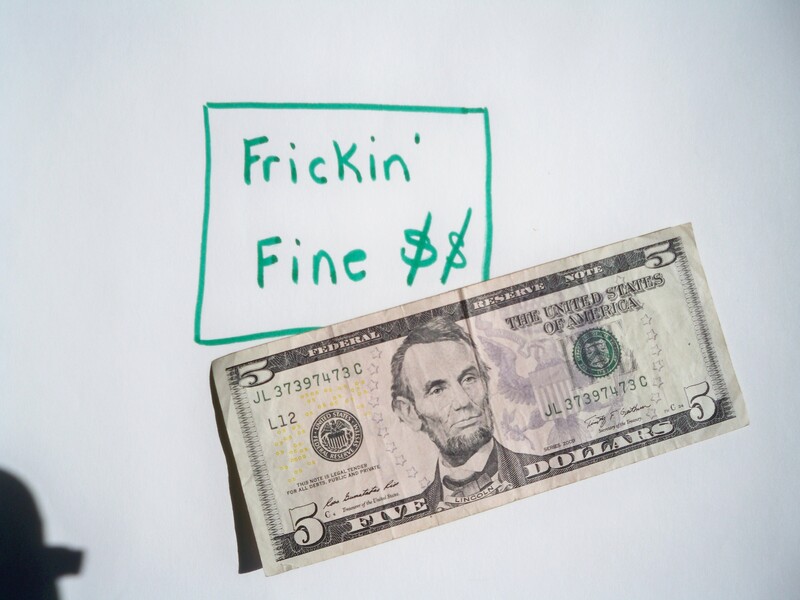 I’d rather pay a Frickin’ Fine than Figure out a Frickin’ object. Click here for link to other A to Z bloggers. Well that’s a variation on my favourite swear word! I Feel your Frustration but you also made me laugh this morning! Just couldn’t get jazzed about any F object for a post. This cheered me up. You could have gone for ‘frigger’ which is the name for a glass object made by the workers to use up materials at the end of their working day! Hey! Thanks for stopping by! I’m scribbling that down – enjoy any new word and obviously need all the help I can get with frickin’ F’s!! There’s a knock at the door. Could it be the WordPress police? Oh no, it’s my mother! We didn’t have Time Out as a kid. We just had that very disapproving frown from Mom and that was enough to sink a kid for awhile! 🙂 much more Fun for mr than feather! This one made me smile. Honest, and so full of voice! I like frickin’ since I am not allowed to swear at the boy playing baseball. Now I say, “hit the frickin’ ball” and he know exactly what I mean. Works every time. Katie – Having a wordpress snafu right now and can’t get back to your F post, but your thoughts on fear today were so enlightening. What a superb educational post for all of us who encounter strangers every day. It does take the awareness you’ve written about to reduce not only fear, but repulsion to those we find on the street. I hope others will read this and click you for thoughtful post today. frito lays? frosted mini wheats. feathers? you’d left a comment on a picky post, one about my character cate. you’d said i had good literary tastes… those are books SHE read… but yes, yes, i do. Thanks – coming back to see where I misunderstood! 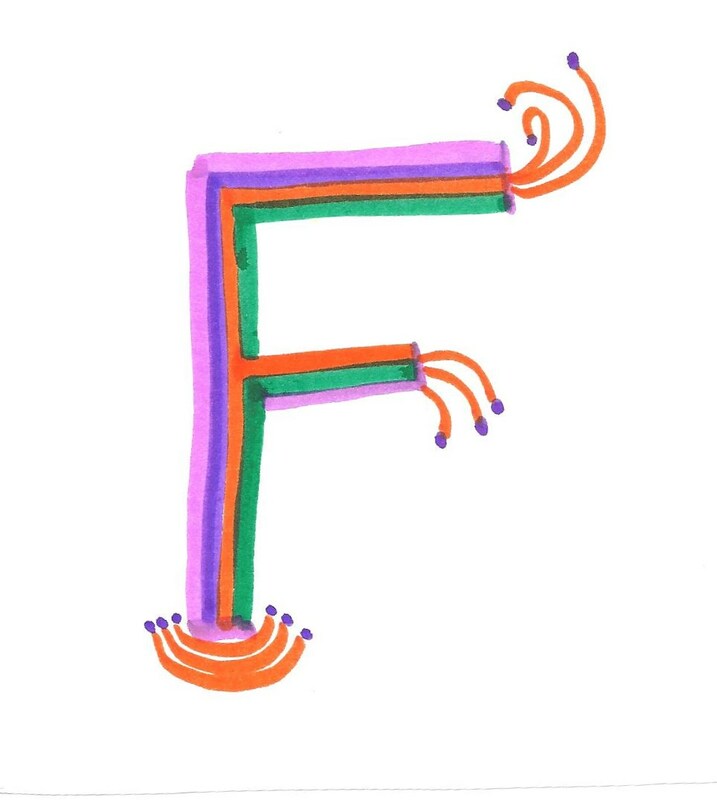 I thought of F’s, i just couldn’t get interested in writing about them. And i would definitely have eaten the Frito Lays instead of what I was supposed to be doing! Fedora would have been perfect. I get too hot to wear most hats, but love them – finally parted with a stash from my closet that will make shoppers at thrift store very happy. You should have asked me I always have too many ideas.. flowers, fish, feature wall, fingers, feather, fork, frozen anything.. I’ll stop now.. love Frickin though, very funny post. I just couldn’t get jazzed about any of them – to write about. If the flow doesn’t come, it’s no fun to force the writing. No doubt, I’m expecting too much of myself this early in my writing escapades. Different blogpost. I like it! I didn’t pick a theme and this turns out to be a good thing. I think. I wonder if that is why my traffic is so low. Thank you for always stopping by. I have busted my own theme too many times!! But some of the bloggers have very interesting and clever ones. I’m not experienced enough to say whether having a theme or not makes a difference in traffic. Are you visiting and commenting on blogs you like? That will build your traffic. Not everyone has time to do that. I set aside a chunk of April to spend reading because of A to Z.
I try to make the rounds I think I have to do more though. I’m also going to leave a link with my comment and see how that goes. WordPress and Blogspot aren’t very compatible for cross-following which makes the visiting quite time-consuming. I’ve read advice to leave your link to make it easier for folks to reach you. Be patient and keep reaching out to bloggers you like. Mine came in fits and starts, and who knows whether they’ll stay after A to Z ends. Blogspot is not user friendly for commenting. Sometimes it blips off because blogger wants to moderate (approve) comments and sometimes they blip into a black hole. You have no way of knowing, like you said , after all that typing! And I haven’t found a “like” button on those blogs either! Interesting what you say about cross blogging Sammy. I have been very frustrated when visiting blogs that I can’t just ‘like’ a post, and where commenting is so difficult. In fact I have visited several where for the life of me I can’t see how to comment. Surely that’s pointless? And would I ever know if any of these people reply to my comments? I can’t ‘follow’ everyone, life is too short. Yup, much as I like their posts, i figure I’ll find a comoarable writer elsewhere to “like”. LOL The Frivolous F. He’s one of my favorites. Thanks for stopping by! As a fan of alliteration, I found this post frickin’ flippin’ fun! Every once in a while Frickin’ comes out of my mouth. I think it is because I am aware in the back of my mind that there are kids or “really old women” (as opposed to just old women) and it is more acceptable than what I really want to say. When I say it though, I always get stopped in my mind and think – hey that word is from a long time ago, I wonder if anyone knows or uses it anymore. Am I aging myself? It’s amazing what just one word can do. Anyway, the intonation gets the point across. Unfortunately, as you know, Frickin’ is another “f” word that I can not use at the moment. How Funny! It might age us, but I try to stop myself from the more ubiquitous and harsher sounding “other” F word which sounds so negative. At least when I’m complaining and using frickin’ I feel like there’s SOME lightheartedness to my bitching.